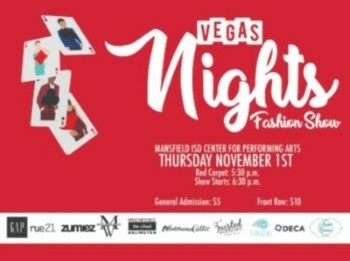 The Vegas Nights Fashion Show will be held on Thursday, November 1st at the MISD Center for Performing Arts. Red Carpet begins at 5:30 p.m. Show starts at 6:30 p.m. General Admission $5. Front Row $10.